Tottenham edge ever closer to sealing stunning playmaker coup ahead of Champions League adventure | The Transfer Tavern | Where football transfer rumours fly or die! The Tottenham Hotspur fans in the Transfer Tavern have forgotten all about the disastrous end to the season and are hugely excited about the upcoming journey back into Europe’s elite. So, reports the Daily Mirror that the club are to step up their interest in Palermo playmaker Franco Vazquez this week as they gear up for their venture back into the Champions League have been met with delight. The North London outfit have been linked with all manner of stars from around the continent, mainly attackers, with the Italian international being touted as a potential target. 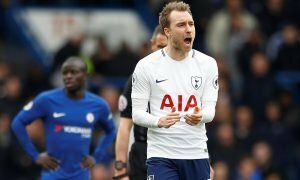 While Serie A giants Fiorentina and AC Milan are also believed to be interested in the 27-year old, Spurs arereportedly ramping up attempts to try and land him. A versatile attacker able to float across the frontline, the Argentine born midfielder can operate either behind a central striker or wide of one and would likely compete with Christian Eriksen for a starting berth. He registered 8 goals and 7 assists for the Sicilian outfit last season, often taking it upon himself to be the creative hub of the Rosanero, though was unfortunate to miss out on the Italian Euro 2016 squad. How many signings do Spurs need to make to be considered genuine players in both the Premier League and the Champions League?